Positive Psychology-with its focus not on mental "disease," but rather on what actually makes people happy-has revolutionized the way that we look at mental health. What many people don't realize, however, is that Positive Psychology is not as young a field of inquiry as we think. In fact, according to Joseph Emet, the original positive thinker was the Buddha himself. 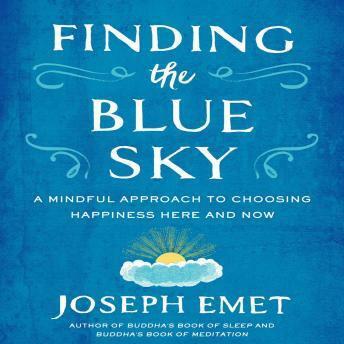 -How to replace negative thinking with positive thinking How to move from frenzied thinking to quiet contemplation The duty we have to others to live a happy life< As Joseph explains in this work, the blue sky of happiness is found just beyond the grey clouds of sadness, everyday concerns, stress, or anxiety. Readers will find that the advice in this book can act as the gentle wind that clears those clouds away.